"I absolutely adored this. It was a wonderful story filled with so much heart and love that completely filled me up. Excellent read!" "This story warmed my heart...I loved the quirky small-town vibe and the characters' strong sense of family." "Then There Was You is perfect for someone who enjoys romances in a small town setting. It was engaging from the beginning and above all, sweet and cozy." "Full of heart, sharp one-liners and some definite tear-worthy moments." 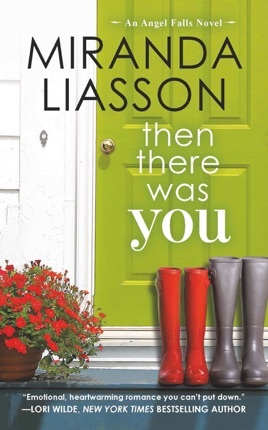 Liasson (The Baby Project) ably tugs at the heartstrings with this poignant contemporary about a jilted doctor and the police chief who'd like to make it all better. Dr. Serafina "Sara" Langdon was dumped by her fianc , Tagg, days before their planned wedding. A year later, she reluctantly returns to her tiny hometown of Angel Falls, Ohio, to help her family care for her Alzheimer's-stricken grandmother. On one of her first days in the Angel Falls ER, she treats Colton Walker, her teen-years nemesis; she snubs him, believing he's the one who booked Tagg's high school crush as the bachelor party entertainment, which led to Tagg jilting Sara in favor of the dancer. Colton, once a smart-aleck teenager, is now Angel Falls' chief of police. He's morphed into the strong and dependable type and he's long nurtured a crush on Sara. The two slowly start to connect, but, when Tagg comes back to town, his intervention may end their budding relationship. 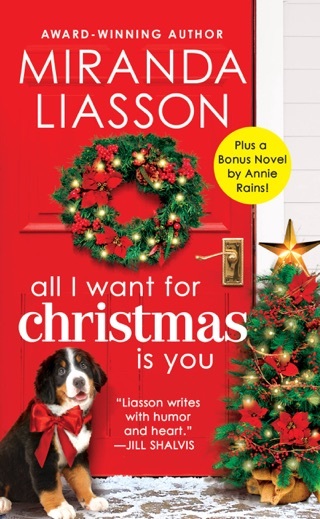 Liasson shifts nicely between the serious topic of Alzheimer's and the lighter moments (including a near-disaster of a proposal), aided by a strong cast of supporting characters, who presumably will be getting their own books next. One of my favorite genres is enemies to lovers romances and this one was pretty good! I enjoyed the angst and conflict that went on between Colton & Sara and when they finally gave into their feelings it was perfect! This was a new author to me and I WILL be reading checking out her other books! Dr. Sara Langdon never wanted to return to Angel Falls after being jilted at the alter by Tagg. Forgoing a prestigious internship, Sara returns home as her grandma needs her. Sara's father, also a doctor, has his own practice in Angel Falls. While he's offered her a position while she's back, she doesn't really feel as though he "wants" her to join his practice. Dr. Langdon pressures Sara to pursue another internship, but she's not really sure what she wants. 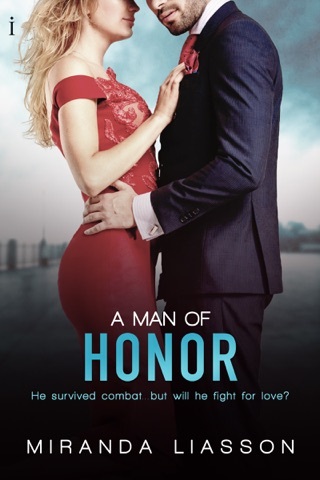 But Sara knows she doesn't want to see Colton Walker, the man she blames for the demise of her almost wedding and the one who tormented her relentlessly as a teen. Colton Walker grew up on the wrong side of the tracks. After losing both parents, his dad in the line of duty, Colton puts his dreams aside to stay in Angel Falls to help raise his sister. Colton, now the Chief of Police of Angel Falls, has never understood why Sara blames him for the demise of her wedding, but enjoys riling her up. He's always had a secret crush on her, but she was always involved with Tagg--his best friend. When Sara returns to town, Colton sets out to prove he's changed and not the same bully she learned to despise. 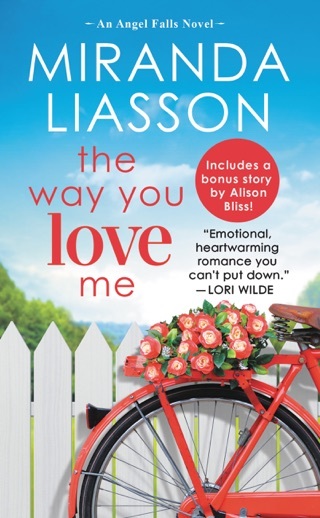 Miranda Liasson weaves her stories so that they are completely believable and relatable. Her characters deal with real-life issues and the consequences. Dementia is so devastating and to have a beloved family member slowly lose pieces of themselves is truly heartbreaking. Although there were sad moments, there were several funny, uplifting ones too. I truly felt like a part of the family durning family dinners! As a stepmom, I also loved Sara's acceptance of her stepmom. Very touching! I read a gifted copy of this novel and all opinions stated are my own. Sara comes home to Angel Falls a year after her fiancé Tagg, unceremoniously dumps were two days before her wedding. She has blamed Colton, the Best Man and Angel Falls beloved Police Chief, for not keeping Tagg from sleeping with the bachelor party entertainment. Sara is now working as a doctor in her father’s practice, and is reacquainting herself with the town. As she sees more of Colton, she realizes that he is not the monster she has painted him to be. Thus begins a great enemies to lovers romance. Definitely worth reading.